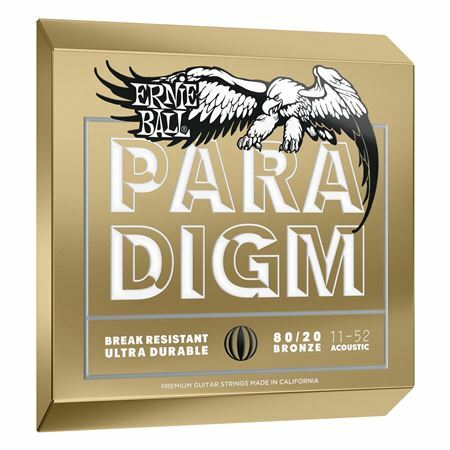 Shop Ernie Ball Paradigm 80/20 Bronze Acoustic Guitar Strings from AMS and enjoy Fast & Free Shipping. 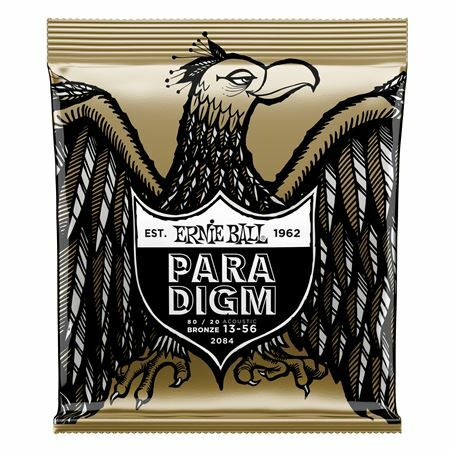 Continuing their passion for innovation and high-quality products, Ernie Ball introduces Paradigm electric and acoustic guitar strings - the world’s strongest and most advanced string out there! 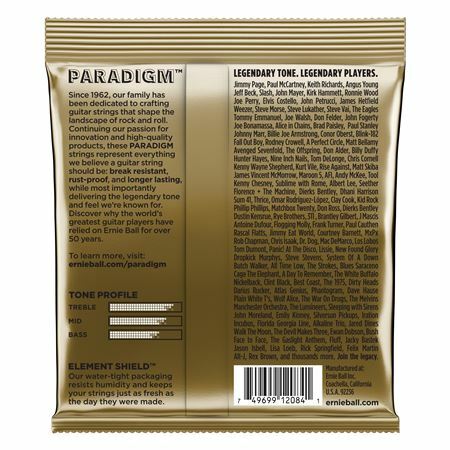 They also feature the first fully backed guarantee - if Paradigm strings break or rust within 90 days, Ernie Ball will replace them! Since 1962, the Ball family has been dedicated to crafting guitar strings that shape the landscape of music. Paradigm strings feature superior break-resistance and unparalleled durability while delivering the iconic Slinky tone Ernie Ball has always been known for. 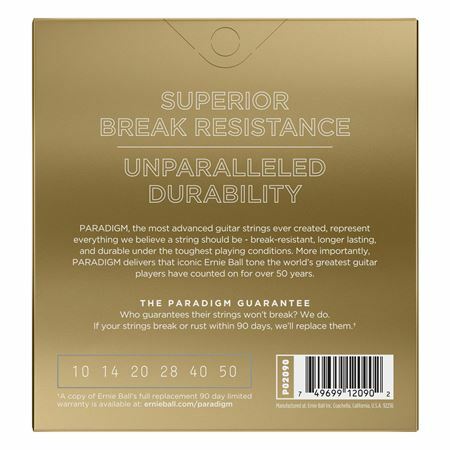 Features a fully backed guarantee – if Paradigm strings break or rust within 90 days, Ernie Ball will replace them!